Here's what you need to know about positive pressure systems. 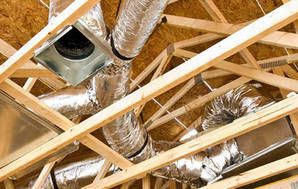 Positive pressure ventilation systems work by blowing drier air into your house from the roof space above the ceiling. They work best where there is a decent amount of space in the roof. The roof space must also be dry and not extremely cold on sunny winter days. Positive pressure systems rely on the incoming air pushing the stale damp air out of the house through windows and doors that are not a tight fit. This means they suit older houses with wooden joinery better than modern houses with sealed aluminium joinery – unless windows are opened or trickle vents are fitted. Most positive pressure systems claim to recover heat from the roof space. This is possible on sunny days, even in winter, but there will only be a small amount of heat available. An Otago University study has shown there won’t be warm air up there on frosty nights and cold grey winter days. To cope with this, most systems automatically slow or even stop the airflow when the roof space temperature falls below certain levels. That means your ventilation slows down or even stops, unless there is a heater fitted. Don’t have a roof space? Some positive pressure systems – Drivaire, moistureMaster and DVS – offer units with a heater that work on outside air. These are a variation on positive pressure systems. They use the sun to heat up panels mounted on the roof or an outside wall. The panels warm the incoming air, with solar cells powering the fan. So there are no running costs with solar-powered ventilation, and you get fresh outside air that’s nicely warmed up. There’s also an optional cooling kit for summer ventilation. But solar power depends on getting adequate sun, and won’t suit some locations. You’ll still need additional heating in the house at night – and on very cold wet days. We’ve found only one solar-power model suitable for a typical-sized New Zealand house, and it’s quite expensive. To meet building code minimum requirements for ventilation, the system needs sufficient fan capacity to move the whole volume of air in your house every 3 hours. All makers listed in our product comparison database offer units that can meet this requirement, with a range of models to match house sizes. If you have higher than usual ceilings or an unusually complicated house design, you may need a larger unit, and/or more outlets. Strictly speaking, roof-space air doesn’t comply with the building code requirements. Good filtration is essential as the roof cavity can contain dust, fibreglass from batts, debris from bird nests, and other pollutants. Most of these systems come with EU4 or G4 grade filters, which can remove 80 to 95 percent of particles down to 10 microns. Some makers of positive pressure system offer finer filters as standard; others offer this as an option. If you know your roof space is very dusty or dirty, finer filters will prevent more of that dust from getting into your house. If you want to keep costs down by changing or cleaning your own filter, check how easy this is. Some makers won’t sell you a filter; they only provide a filter-replacement service. Some filters are washable - but wash them carefully by hand, and replace them if they get torn or damaged. Driveaire says its filters can be washed up to 6 times. Electrostatic filters require regular washing in special solutions. Systems can be installed with either one centrally located outlet designed to push damp air out via windows and doors, or with outlets in several rooms, especially those with severe condensation problems. Larger houses will ventilate better with several outlets rather than one large one. 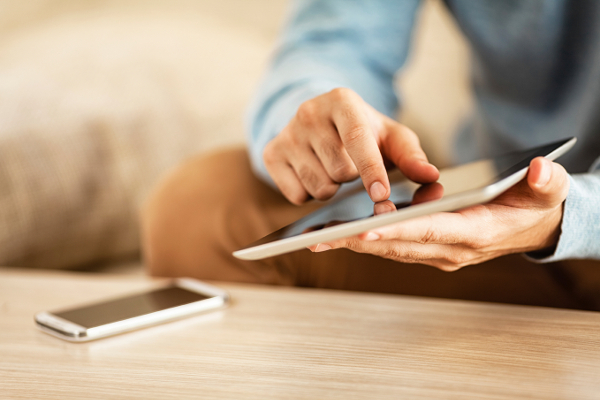 When set up correctly for your house, the controls should need little adjustment. That’s the ideal arrangement – set and forget. It’s handy to be able to do some basic things, like switching off the system in summer, from a control panel in the house. But otherwise it’s easier to let the system do the work. More expensive models let you check temperatures in the roof, the house or of incoming or outgoing air and allow adjustments to temperature cut-out settings or air flow. Others will automatically change airflow as required and even switch to summer cooling or switch on heat transfer systems at pre-set temperatures. A basic system can provide ventilation just as effectively as one with complicated control options. You’ll need to consider these – although they’re often standard on higher specification (more expensive) models. Most optional inline heaters are small and just designed to take the chill off the air, but some makers offer larger units that can substitute for some of your normal heating. If you want to maintain good ventilation during the colder months, we think additional heating is essential – but this will increase your running costs. A heat-transfer feature allows the fan to take warm air from one part of the house (near a woodburner, for example) and move it to a colder part of the house. Whether you need summer cooling depends on the design of your house and the local climate. If effective summer cooling is important, air conditioning is better than a ventilation system. Extra ducts are added so that fresh air is drawn from outside (rather than warm air from the roof space). Look for a model with an automatic or remotely controlled changeover feature – or you may have to send someone up into the roof space to alter the settings. If there’s some doubt whether a positive pressure system will work in your house, make sure you get a money-back warranty. Look for a "3 winter months" warranty, (not offered on most DIY systems) so you can evaluate the system’s performance in more extreme conditions. Warranties are in addition to your usual protection (repair, refund, or replacement) under the Consumer Guarantees Act. This is possible provided you’re reasonably handy. You’ll still have to use an electrician to make the connections to the mains or to fit a 3-pin outlet, which adds to the cost. DIY is also the cheapest option – Bunnings offer the Securimax Comfortmaker kit for less than $1000. It’s a basic one-outlet positive pressure system. Weiss and Securimax Smartvent are available through hardware stores like Mitre 10 and Placemakers, but you may have to ask your store to order one. Some of the other makers of positive pressure units will supply systems for DIY, but they don’t usually offer a winter-performance warranty if you install it yourself. And if you have to get an electrician to wire up the unit the cost savings are minimal. If your home suffers from streaming windows, mouldy curtains and a damp unhealthy feeling, you need to improve your ventilation. We explain how to stop the sources of moisture and what to look for in a ventilation system.